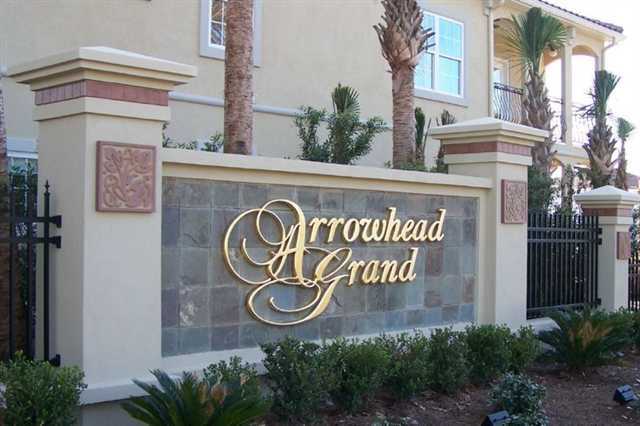 Arrowhead Grand is located off of 17 bypass at 1201 Burcale Rd, Myrtle Beach. This community is conveniently located very close to both the Coastal Grand Mall and Tanger Outlets. Not to mention, only a 10 minute ride to the beach! 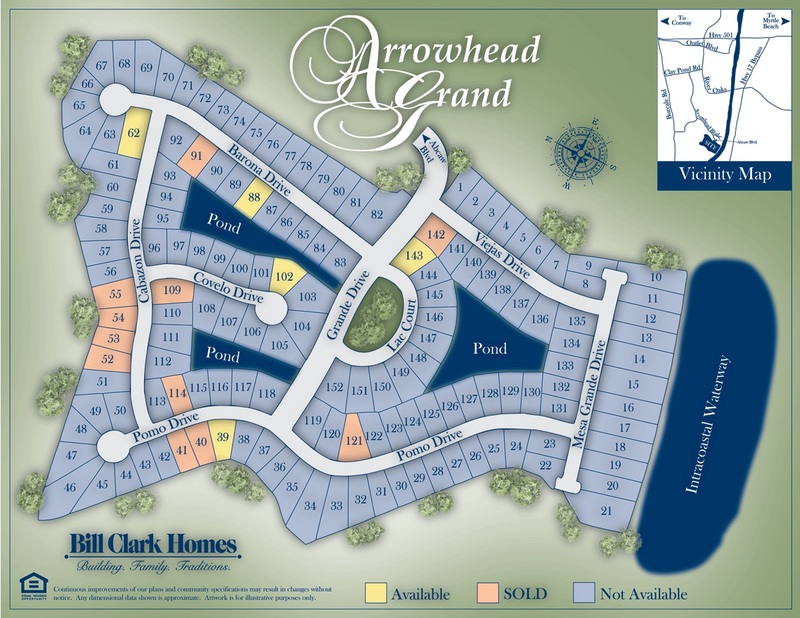 150 homes are going to be built in Arrowhead Grand. The builder is Bill Clark Homes. There are some homes that will be on the Intracoastal Waterway, as well as several with views of the 3 ponds. Some of the amenities in the community are 3-day docks, a brand new pool, and pool house. These Mediterranean style homes range from 3 to 4 bedrooms, both single and two-story, with a minimum of 2000 sq. feet and 5-floor plan to choose from. All of the homes come with included features that are considered upgrades with other builders. You will appreciate the fine cabinetry, granite kitchen countertops, marble window sills, stainless steel appliances, hardwood and tile flooring, cultured marble shower in the Owners’ suite, ceiling fans, security systems, fully sodded yards and irrigation systems. Prices in this community range from about $250,000- $300,000. The builder is also offering up to $2000 cash back at closing with use of their lender and attorney. For a more information on this community and a free Relocation Guide, contact Cherie Hardy, Realtor, at (843) 902-1593 or by email Cherie@SCRealEstateNetwork.com. Listing courtesy of Sloan Realty Group , Randy Privette.